OLD PARKED CARS. 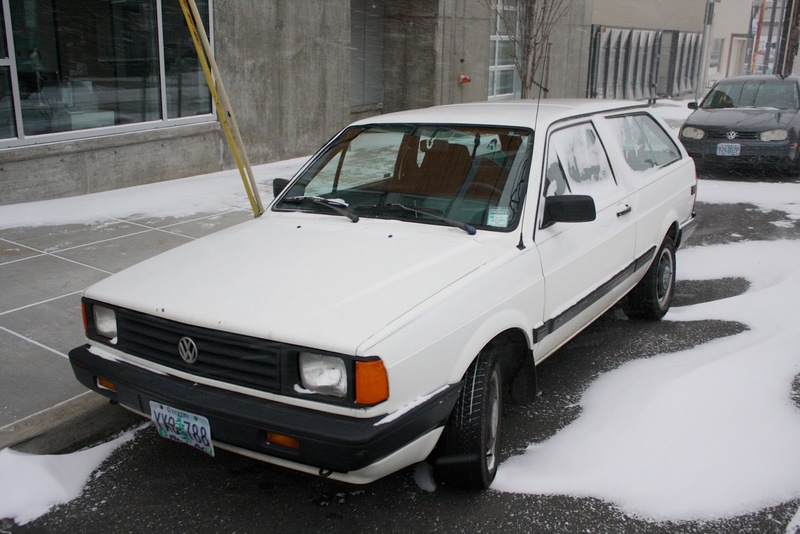 : 1988 Volkswagen Fox wagon. this is almost a shooting brake from the proportions in the profile shot. that rear glass - even half-obscured by snow - must be impossible to replace. 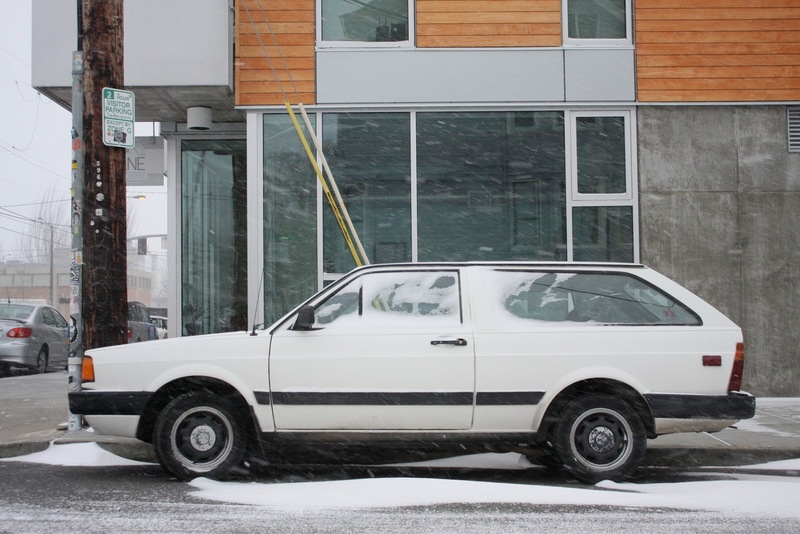 great winter beater, annual maintenance is probably equal to the depreciation at this point. some snow tires and maybe chains... there's not really enough power here to get you in trouble and the bulk of the curb weight is planted right where you want it. 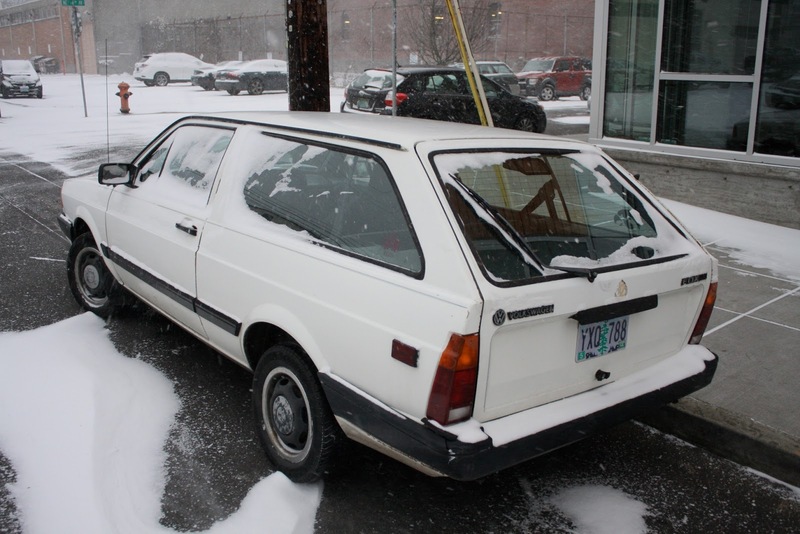 Ah, for those innocent bygone days when we were allowed to buy a two-door station wagon. Or a two door anything, for that matter. I remember these as being VW's entry-level car back in the day. Weren't they built in South America to avoid the unfavorable Mark/Dollar exchange rate? Yes, these cars were sourced from Brazil. VW Polo hatchback in Europe. Real oddity for me, I think this was never imported here (=northern EU).